Joe Public have it in the Cannes again as they swoop up first and third place in this year’s Young Lions competition. The brief challenged young creatives to produce a 60-second cinema commercial in 48 hours that would get South Africans from all walks of life, but particularly the youth, to the voting polls as well as support the Independent Electoral Commission’s election campaign, “I VOTE SA (IXSA)”. Graphic Designer Sonia Dearling and Art Director Marina Andreoli were thrilled to find out they had been awarded first place for their 60-second cinema commercial titled, “Don’t live with someone else’s choices”. “Great, grateful, blessed,” is how the young team described winning. Their quirky, fresh idea does more than just get people talking about voting, it demonstrates the consequences of not voting. “We are so proud of our team, they produced a piece of communication that will get people thinking and actually move them to vote. It’s work that really works for a greater country,” said Adam Weber, Executive Creative Director Joe Public. 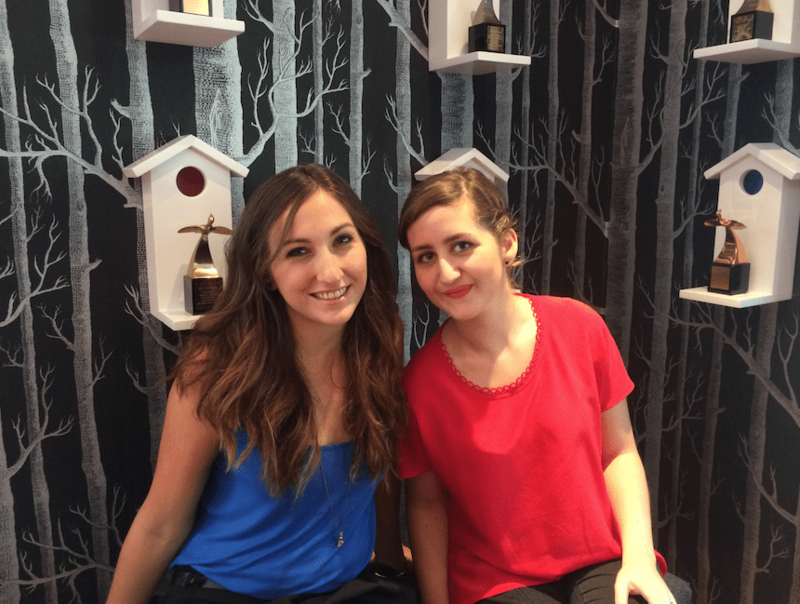 Art Director Monique Kaplan and Copywriter Amy Auret came third in the competition with their commercial entitled “Voting changes everything.” This is a second Cannes accolade for the team, after their recent Cannes Chimera selection, currently taking place in Seattle. Joe Public United is proud to announce their recent partnerships with two new agencies in Africa. As their payoff states, Mercedes Benz trucks are trucks you can trust. We live in a world that is rapidly changing. Every day more and more channels, options and ideas come to life, allowing us to access the latest technological advances as well as the latest devices every few months, at only a moment’s notice. Engage Joe Public has been named as one of only four finalists in the EMEA SABRE Awards in the New PR Consultancies of the Year category. When you’ve simply been doing the same job at the same place for much too long, it becomes harder to move, especially if you’ve become part of the proverbial furniture. The print campaign was done for our client PNET — a job portal that offers close to 20 000 job positions on their site. Engage Joe Public, Joe Public United’s specialist Public Relations & Communications agency for the group, has steadily been converting and retaining business as they enter their third year of growth. In the first quarter of 2016 alone, the specialist agency has landed no less than five diverse, new accounts. Ignite Joe Public is proud to announce the launch of its latest Shopper Marketing division, which is expanding the specialist agency’s integrated offering. At Shift Joe Public, we believe that when you use brand as a driver, businesses grow. It is simply understanding and utilising that value and the role the brand plays in business. Joe Public United are set to continue its upward growth in 2016 as the group’s cross-platform agency, Ignite Joe Public, was the first to celebrate two new business gains from one of SA’s most iconic clients — SAB. Ursula McAlpine joined Ignite Joe Public as its new managing director in August this year. Growth by design: Iconic South African fashion brand, Jet, recently repositioned itself from Jet Up and Save to “Feel Good Fashion for Everyone”. This year’s Loerie Awards show saw Joe Public being recognised with 15 Loeries in total, including 1 Gold, 8 Silver and 6 Bronze awards. The agency again showed its breadth, being awarded across multiple categories, including Direct Mail, Live Activations, Print, Radio and Television and Integrated Campaigns. A new appointment in the leadership of Shift Joe Public signals more growth for the strategically lead design agency. Terri-Leigh Blomeyer, joined the creative talents at Shift Joe Public as the agency’s managing director in March this year. This year saw a strong Joe Public delegation attending Cannes, along with attendees from clients Clover and Nedbank. Ignite Joe Public’s recent TVC for client Iliadin takes a humorous approach to facing the winter blues this chilly season. Ilaidin’s nasal spray will not only unblock your nose, but it will also reduce a cold up to two days sooner. Joe Public’s Katherine Glover has been selected to attend the Cannes’ “See It Be It” 2015 initiative. See It Be It, is a project that was initiated by Cannes in 2014 to highlight the existence of very talented creative women in the industry, accelerate their careers; expose the powers women bring to the work, and encourage agencies to nurture women’s careers from the inside. Brothers for Life, a brand of the Center for Communication Impact (CCI), recently launched The #MMCZing campaign with the intention of breaking the convention of males speaking to males around the topic of circumcision. After specialist below-the-line agency, Ignite Joe Public, succeeded in a 2014 win of Knorr Soup, the agency continues to pioneer exciting new ideas into the Knorr business, and this year it’s with Knorr Salad Dressings. The team was awarded the business in January 2015 after an inspiring thinking presentation that wowed the new client. Joe Public is proud to announce the appointment of Dylan McLean as the executive creative director and managing partner of its new Johannesburg-based digital offering, Connect Joe Public. This past weekend saw Joe Public celebrating yet another year of creative excellence at the Pendoring Awards, leading the night with 1 Gold and 3 Silver Pendoring awards. After a phenomenally successful taking at this year’s Loerie Awards show, Shift Joe Public have catapulted into the top three list of the overall official Loeries rankings released on 16 October 2014, placing the specialist agency as the number one brand communications agency in South Africa. Ignite Joe Public has recently been awarded the Knorr Soup business. The below-the-line specialist agency has been awarded the business as part of Knorr’s long-term strategy to redefine its role within the soup category. South Africa’s largest independent communications group Joe Public, including Shift Joe Public and Ignite Joe Public, won six Gold, six Silver and six Bronze awards, as well as two Craft Certificates at this year’s Loeries Awards ceremony. Clients awarded included Nedbank, Foodcorp and One School at a Time (OSAAT). Shift Joe Public, communications design agency, walked away with four Golds, two Silvers and a Craft Certificate at The Loerie Awards 2014. When Mercedes-Benz Vans in Germany launched a new brand tagline – Born to Run – that guaranteed great service in record time, the South African team needed a simple idea to illustrate the exacting standards required to live up to this new brand promise. An enormous bed made of ice drew dozens of celebrities to Melrose Arch last night, for the launch of the 2014 Nedbank Winter Campaign, which seeks to bring warmth through blankets to the less privileged members of our society. Bronwyn James, Managing Director of One School at a Time, challenged her body and mind to trek up to Everest’s base camp in April this year to raise funds for the school's advancement programme. Two new senior positions in the Media department continue to build a truly integrated solution to maximise growth for Joe Public’s clients. Suraya Pillay, with 20 years’ experience in the advertising industry, has recently been promoted to Media Director for Media Buying and Planning, whilst Jodi Calvert, with 25 years media experience, has been promoted to Channel Strategy Director. Founded in 1998, Joe Public is the largest 100% independently owned communications group in the country with its core focus being the growth of its clients and people. 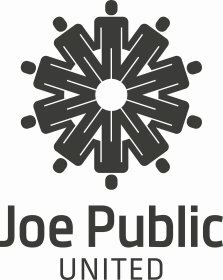 Joe Public was rated by Finweek’s AdReview as the 2013 Agency of the Year and by The Annual as the Agencies’ Agency of the Year 2013. The group includes four specialised companies: Joe Public (Above-the-line), Ignite Joe Public (Below-the-line), Shift Joe Public (Brand Design), Engage Joe Public (Public Relations) and sister agency Joe Public? in Cape Town. The group has a global footprint into Namibia, Zimbabwe and Amsterdam.